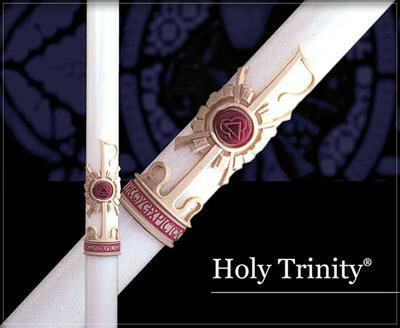 High relief SCULTPWAX candles are beautiful symbolic expressions that are meaningful and significant for Christian celebrations throughout the liturgical year. SCULPTWAX 51% Beeswax candles are master crafted in the USA at Cathedral Candle Company, and are decorated with rich, hand-cast colour infused wax appliques skillfully applied to each candle. Wax nails with imbedded incense and numbers are NOT included with this candle.